Wayne Forrester, 34, told police he was devastated that his wife Emma, also 34, had changed her online profile to "single" days after he had moved out. The Old Bailey heard Forrester drove to her home in Croydon, south London, and attacked the mother-of-two. He stabbed her with a kitchen knife and a meat cleaver on 18 February. Forrester, who pleaded guilty to murder, was ordered to serve a minimum term of 14 years. Judge Brian Barker, the Common Serjeant of London, told him: "You committed a terrible act. There is no possible excuse or justification. "This is a tragic killing and what you have done has caused untold anguish." What on earth could Emma have done to result in such a brutal, callous attack? Forrester, an HGV driver, was drunk and high on cocaine when he attacked the mother of two in the early hours as she slept. He beat her, tore out clumps of her hair, and repeatedly stabbed her in the head and neck. Neighbours were woken up by her screams. They found him sitting outside the house covered in blood and called the police. The court heard Forrester thought his wife, a payroll administrator, was having an affair and had threatened to kill her. The couple, who had been together for 15 years, had a "volatile" marriage, jurors were told. The day before the murder, he called her parents and complained about his wife's Facebook entry which he said "made her look like a fool", the court heard. In a statement to police Forrester said: "Emma and I had just split up. She forced me out. "She then posted messages on an internet website telling everyone she had left me and was looking to meet other men. "I loved Emma and felt totally devastated and humiliated about what she had done to me." In a victim impact statement, Mrs Forrester's sister Liza Rothery said the murder had had a "devastating" impact on her and parents Frances and Robert. 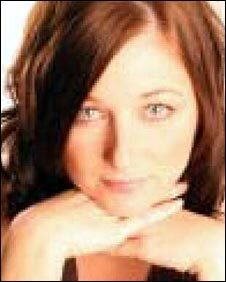 Miss Rothery added: "What on earth could Emma have done to result in such a brutal, callous attack on a defenceless woman?"